Bourne Office Space is a provider of fully serviced office space operating from prime London locations. 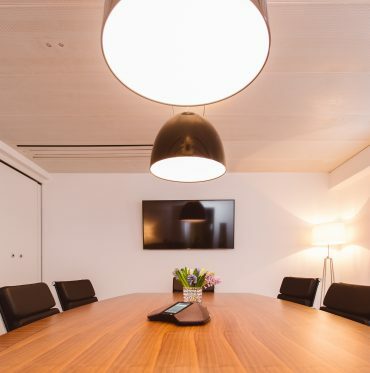 Our Business Centres boast everything you would expect from your workspace environment; impressive offices; large floor plates; great views and well-appointed business lounges. We extend flexible terms and layouts that can be tailored to suit your business and grow with you. 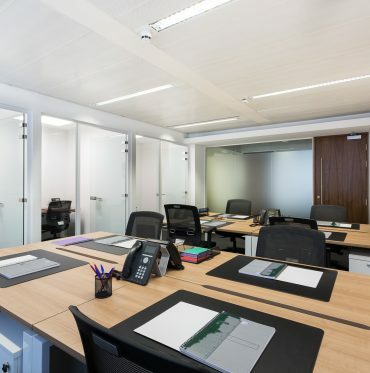 Our modern buildings allow for excellent functional space options ranging from 1-200 workstations. In addition to the excellent service and facilities on offer, we pride ourselves on the comprehensive range of core IT services and support, delivered to your business by our dedicated in-house IT team. All Bourne offices are fully furnished and include 250Mb of bandwidth and telephone handset per person. There are no hidden costs or unexpected service charges. Our monthly billing is simple and transparent. 1 Knightsbridge Green is located in the heart of fashionable Knightsbridge, a 1 minute walk from Knightsbridge Underground station and from the abundance of world renowned shops that populate the area, from Harrod’s and Harvey Nichols to the global super brands that occupy Sloane Street. The business centre itself offers 50,000 square feet of modern office space to cater to companies from 1-100 workstations in a modern office environment. In addition to the excellent service and facilities on offer, such as meeting rooms with VC facility and comfortable business lounges, we pride ourselves on the comprehensive range of core IT services and support, delivered to your business by our dedicated on site IT team. Our clients know that they can focus on their business and we are on hand to support growth with a professional and experienced team, infrastructure and resources to tap into. So, you can be sure to make a great lasting impression on all clients and visitors alike when joining us. 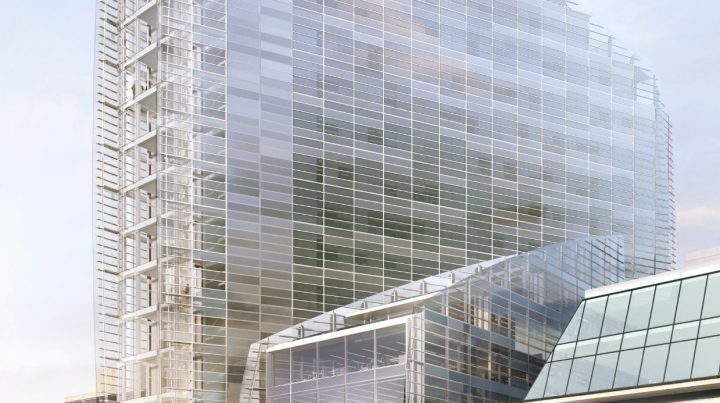 30 Crown Place is a modern landmark building located a 3 minute walk from Liverpool Street Station and a 5-minute walk from Moorgate Station. The offices range from 1-100 workstations, and all are well appointed with magnificent views. Suites are available at very short notice with minimum fuss. In addition to your office space you’ll find a supportive environment allowing you to focus on your business needs without having to focus on day to day building issues. business sizes and provide the flexibility to upsize and downsize. Contact us for up to date availability and to arrange a location tour. Our virtual office solutions allow you to have a business address and telephone number without a physical office. Our virtual services may be suitable if you are in need of an additional company address or if you are working from home and are not ready to occupy space. Choose your Virtual Office location and select your package. Submit your enquiry via contact us and a member of the team will be in touch. Well-equipped meeting and training room facilities are available at all our locations and serve as an excellent space for internal staff meetings, client meetings and presentations. All meeting rooms come equipped with guest Wifi access, video conferencing, flip charts, and AV equipment. Catering can be arranged on request. Your delegates are warmly greeted and shown to your meeting room by the management team who will set-up the room to your specification prior to your arrival, and are on-hand to provide ongoing support and catering during your meeting. Our dedicated IT team are also on site and ready to offer tailored support. Since its inception in 2004 Bourne Office Space has supported hundreds of companies, from sole-trader operations to large multi- national branch offices, with comprehensive IT support. With a broad range of skills and expertise, particularly in the financial services sector, Bourne offers a comprehensive “all-in” solution. We act as a “one stop shop” for emerging and established businesses, allowing them to focus on their business goals whilst the headache of IT is dealt with on their behalf. We always aim to provide a bespoke package as dictated by a client’s individual requirements and we ensure clients only pay for the specific services they require. We are also able to provide extremely competitive quotes on a bespoke basis. 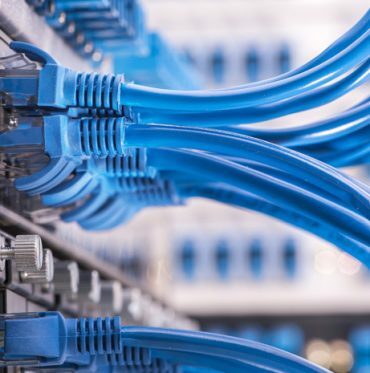 Due to our central infrastructure, we pass cost savings to the customer and our resilient environment enables us to provide the very best service and support at the very best price. A range of optional tech services are available so please ask a member of the team for more information. 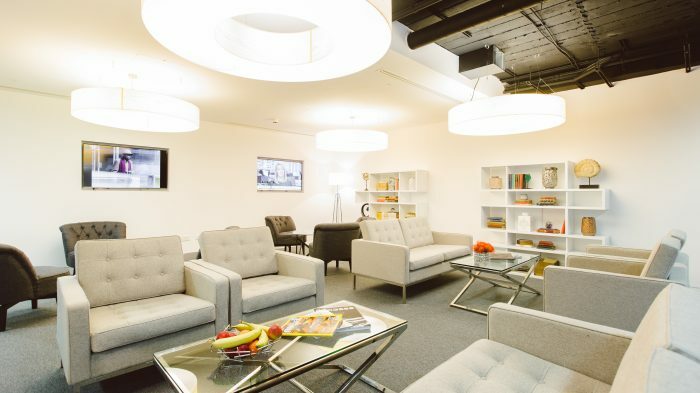 1 Knightsbridge Green provides us with an excellent working environment in an outstanding location for a cost comparable to West End leases, yet without the drawbacks of having to commit to a long term contract. The staff are friendly and helpful, the break-out areas modern and comfortable and the facilities are extensive. By some distance the best serviced office set-up we viewed when looking for a new home and nothing changes that opinion after 4 months of being here. "We moved in to 30 Crown Place at the end of January and have been thoroughly impressed by the experience. Compared to our previous office provider, Bourne Office Space has been a breath of fresh air and the whole move in experience has been quick and painless. This is in large part due to the staff working here. Grace Evans has been our main point of contact and has helped us at every step in the move process. Grace has paid close attention to every one of our requirements, no matter how small it may be. Grace went out of her way to make the move in process smooth - providing us with a temporary room whilst our actual room was being renovated, managing the maintenance team to ensure our room was prepared to the specification we requested and making sure the IT teams were on top of our requirements. Grace went so far as to even clean the windows and surfaces in our office herself to ensure it was up to standard. Grace has dropped into our office many times during the bedding in period, offering her assistance in case there was anything we needed. When we have requirements like additional storage space, meeting rooms and so forth, Grace dispatched these promptly and kept us updated throughout the process. Compared to other managed offices we have used in the past where our requirements seem to disappear into the ether, and where the people are unable to provide answers to simple questions, Grace has been a shining example of somebody we would love to work with on a day to day basis. Grace has a happy personality, is very attentive and manages client relationships very well. We can't thank Grace enough for her help and we hope she will continue to be part of the Bourne team for many years to come." Location is great, building and layout very well thought out, facilities are great. Team very friendly and always ready to help. Meeting rooms spacious and gives a boardroom/ creative vibe. Tea Points are very clean and easily accessible throughout. Move in Procedure was very efficient and fast no issues at all. All of our requests have been met in a timely manner from IT, maintenance to reception assistance, it feels as if we have a dedicated team service us only! Happy, cheerful and friendly Receptionists always ready to help. We have found that the team of Bourne Office Space have been very accommodating, from the time we had requested to move to the time we moved into the new office. Thanks to everyone involved, Claudia, Molly, Grace, Ben, Mohammed, Qaiser. The move went very smoothly, from Friday night out to the Monday morning start. Special thanks to Grace for helping move the desks and arranging new furniture requirements. Grace does seem to go over and above her duties to help, and seems to be very conscientious person. Special thanks to Mohammed and Qaiser for constant technical support and for coming in on Saturday and sorting all problems out. Claudia thanks for putting up with us with all other issues and we have been very pleased with all the support. I have mentioned this before but enjoying the new kitchen and break our area. Based at 1 Knightsbridge Green for over 1 year. We received a warm welcome when we first came to view the offices at 1 Knightsbridge Green and are still greeted with the same warm welcome each morning. All of our requests are dealt with efficiently and our guests are looked after at the time of arrival. We recently took on additional space and renewed our agreement and look forward to growing further within these offices with the support of the Bourne Office Space team. We moved in beginning of this year and it has been a very positive experience so far. The office management team are incredibly helpful and has made the transition very smooth for us. Everything we needed help with initially such as IT set up, access passes & handyman jobs has been dealt with in a friendly and efficient manner. Ongoing services such as meeting room bookings , post and parcel deliveries etc. has proven equally easy to manage with the help of the team. The team at Bourne have been fantastic since we relocated to Knightsbridge Green. Our desire to expand one of our offices was realised with their help and they were fantastic in accommodating our requests and turning them around quickly. The girls are welcoming and lift the spirits of the team with their positivity even on the most stressful afternoons! Keep up the great work! 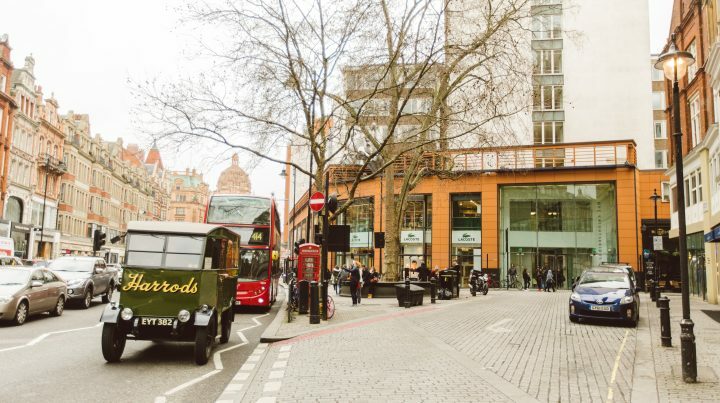 We received a warm welcome when we first came to view the offices at 1 Knightsbridge Green and are still greeted with the same warm welcome each morning. All of our requests are dealt with efficiently and our guests are looked after at the time of arrival. We recently took on additional space and renewed our agreement and look forward to growing further within these offices with the support of the Bourne Office Space team. 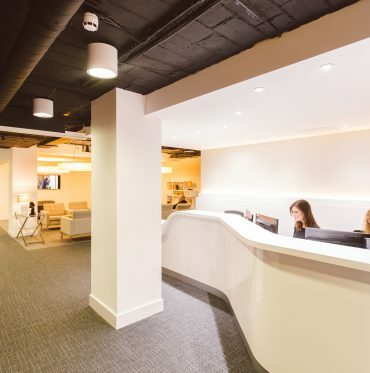 We recently took occupation of a bright, light office space close to Knightsbridge tube station and Hyde Park. We have access to meeting rooms as required, with catering as an optional extra. Support staff are cheerful and always willing to help with the various tasks that arise from time to time, and are very welcoming to us and our visitors.